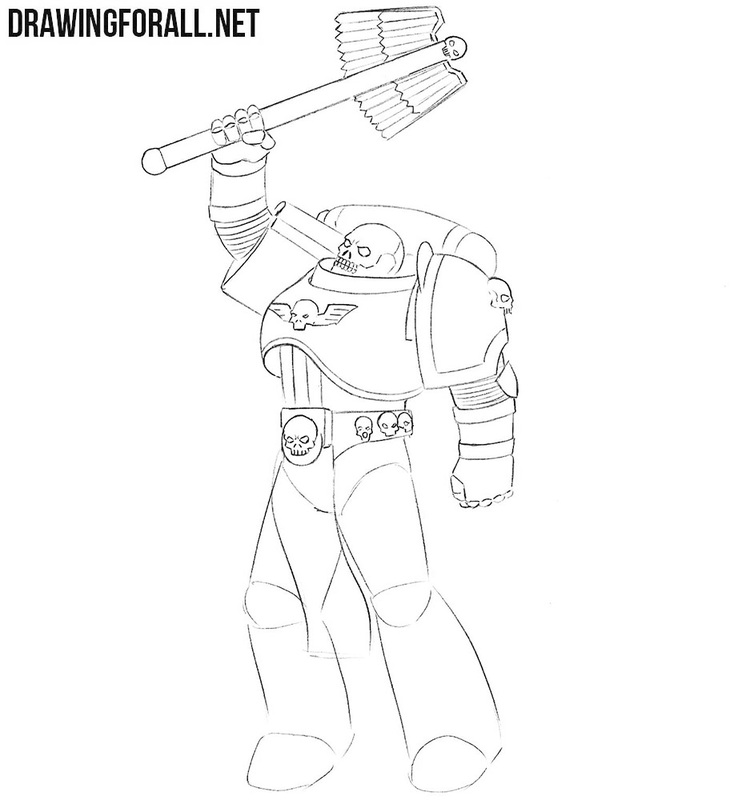 We continue the theme of Warhammer 40 000. Probably you can not imagine the Warhammer without Space Marines. As we are. 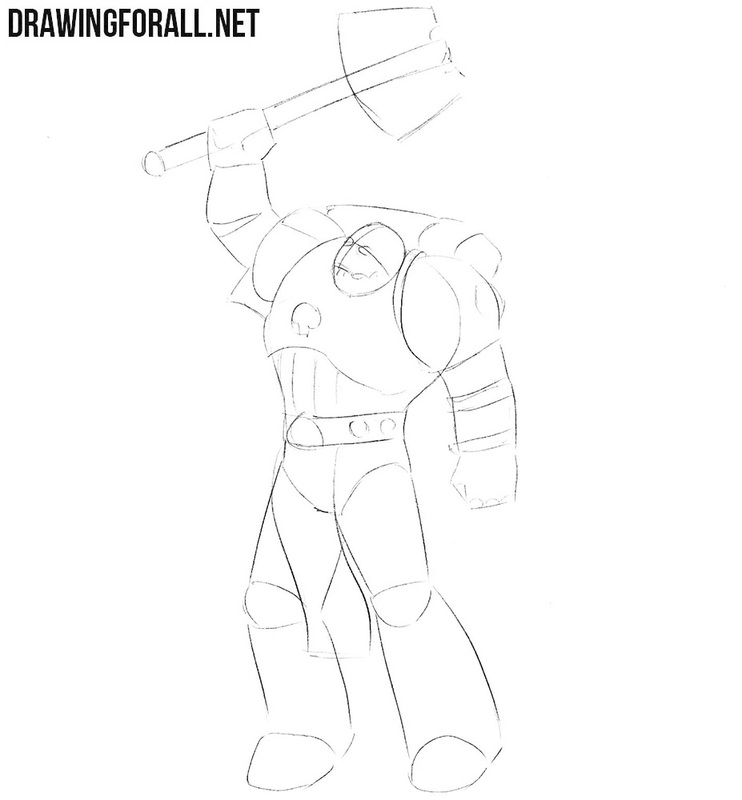 So we decided to create this drawing tutorial about how to draw a Space Marine Chaplain. First of all, we need to sketch out the the skeleton of our warrior. As you can see, it is pretty wide. This figure have no neck. And one more feature of this stickman is a very wide chest. So, we outline a round head and the line of the spine, on which we outline a wide chest and a wide pelvis. 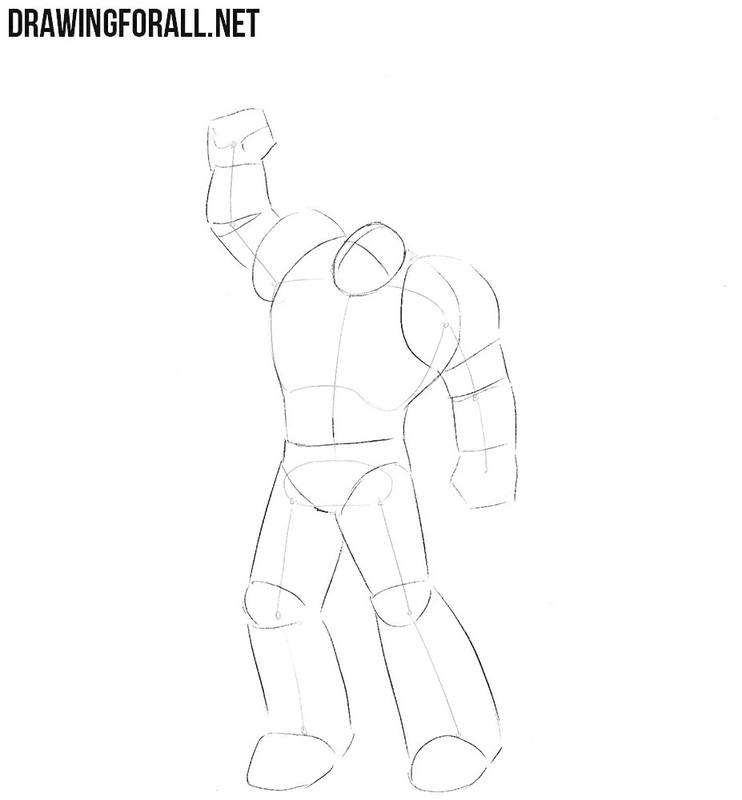 Sketch out arms and legs, as shown in the example below. 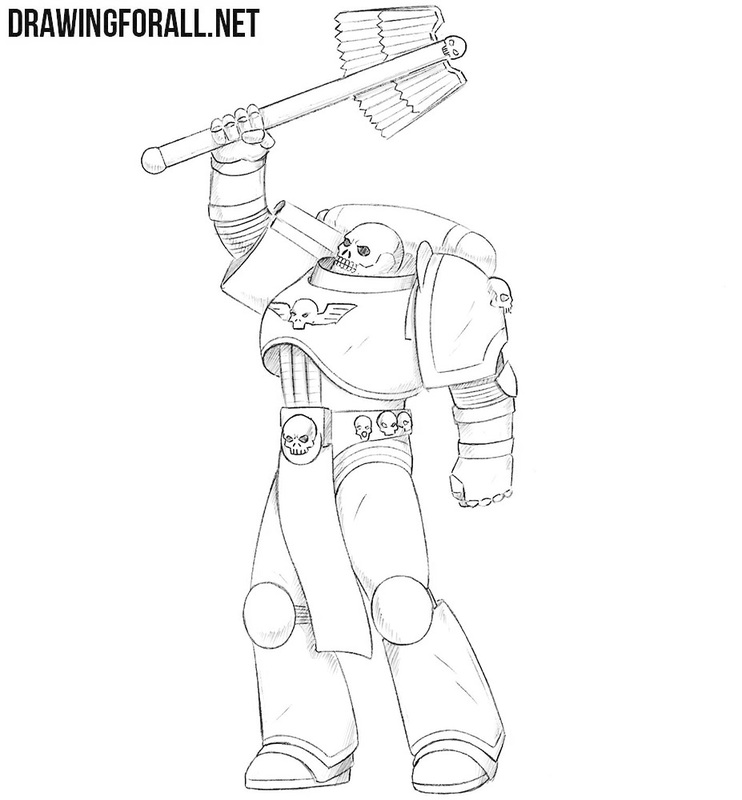 So we have a stickman and now we can draw two crossing lines on the face of Space Marine Chaplain, which will help us further outline the details of the helmet (skull). 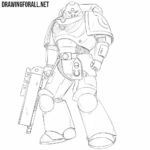 Next, the outline of very wide and massive body, which nevertheless has a noticeable narrowing from the chest to the belt. 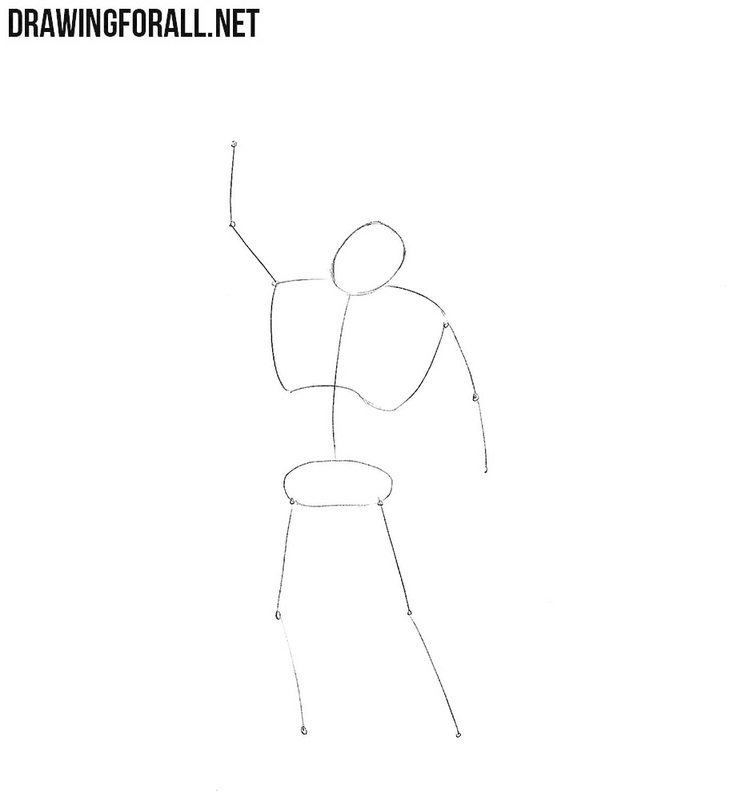 After that you can draw the arms and legs, which must be sketched with wide geometric shapes. 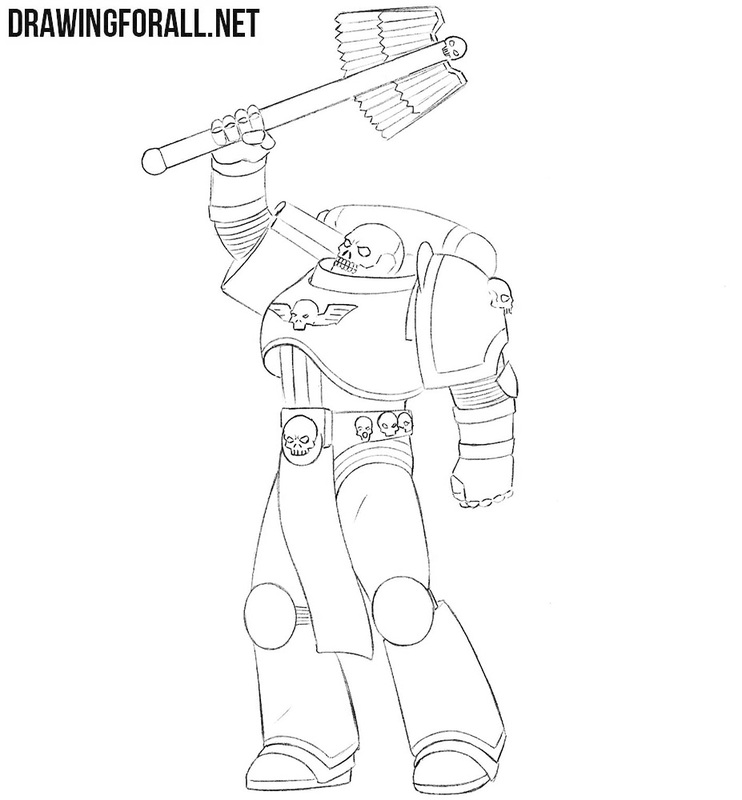 In this step we will draw the outlines of the armor and weapons of our Chaplain. As you can see in our picture we also draw helmet features. Don’t forget that all lines of the first, second and third steps should be very light. 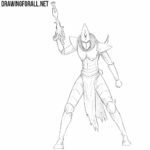 In this step we will draw the front part of the helmet which looks like a skull and a part of the armor which covers the neck. While drawing the details of the skull, you should not lose its bent position, which we drew in the first step. In the end of this step you can eraser and remove all unnecessary guidelines from the face. In the last step we worked with the details of the body. 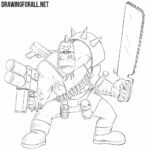 Now we will draw the details of the arms. 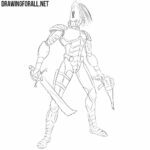 We do not have to draw the joints and muscles because they are covered with armor. But we have to draw fists. And with this task we will help a special post about how to draw fists and palms. Now let’s move on to the lower part of the body. 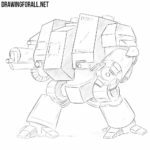 By the same method as in the previous step, we draw the legs, which are look like legs of the giant robot. Note thath the lines should not be too smooth. 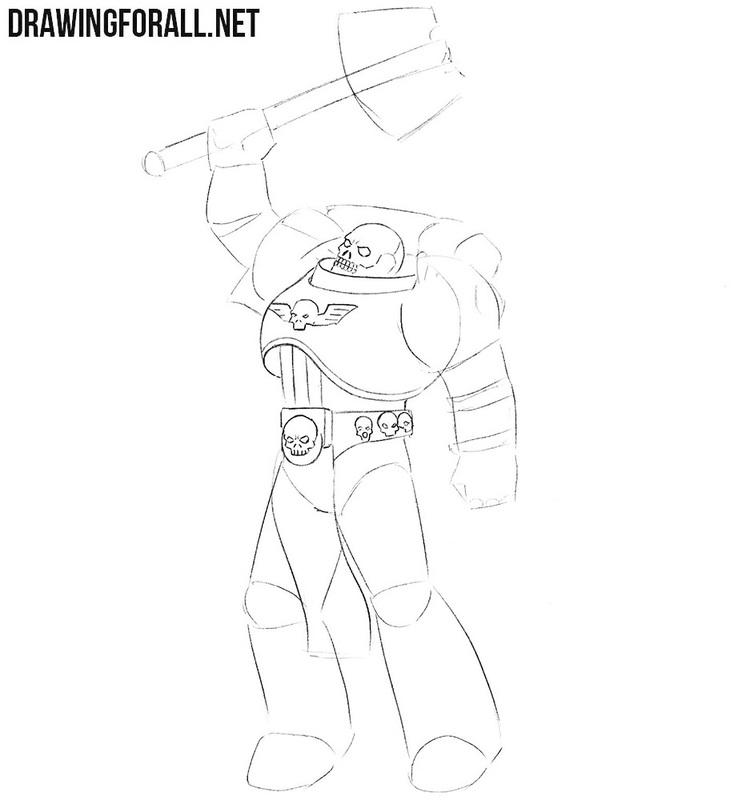 So Space Marine Chaplain drawing is practically finished. We have only to add some shadows. This action will make our warrior more realistic. Paint out the eye sockets. Using hatching add shadows in areas where the shadow does not fall. Also, with the help of crossing lines draw out the texture of the chain mail.